The Spanish word for smile is sonrisa, a word I love because it reminds me of sunrise, an incredible metaphor for both. I awoke a few mornings ago at 4:30 and stepped outside. Imagine what the sky must look like on another planet. Closest to Earth, along the mountains there’s bright light, atop that is a prism of blue in varying shades, from soft to dark, dark blue-black. 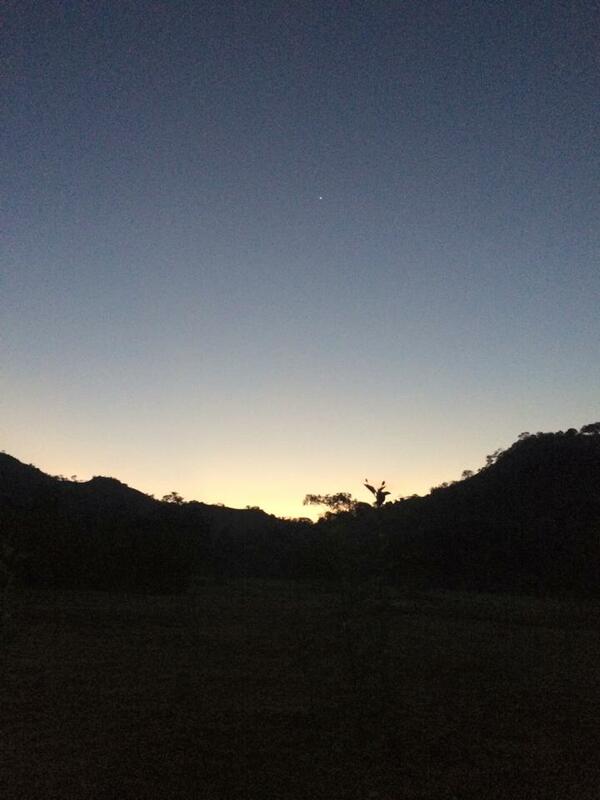 Again, like during the Costa Rican sunsets, the colors embrace and absorb you. Looking up, a single twinkled above me. It appeared to be floating and winking above my head like an incandescent flying spaceship. 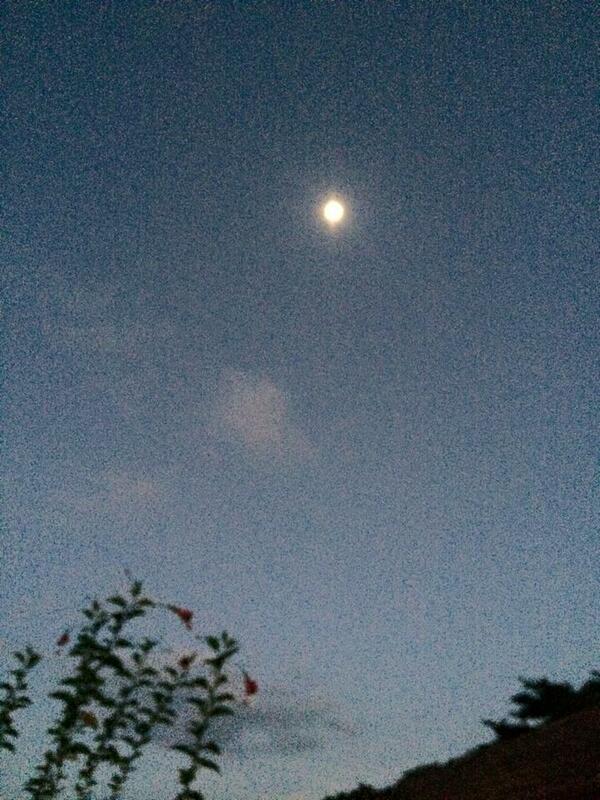 Turning my head, a 3-quarters moon sat big and within reach, appearing more like an oddly-shaped neighboring planet. No wonder primitive persons thought they could see bodies of water on the moon, giving them romantic names like, Sea of Tranquility. 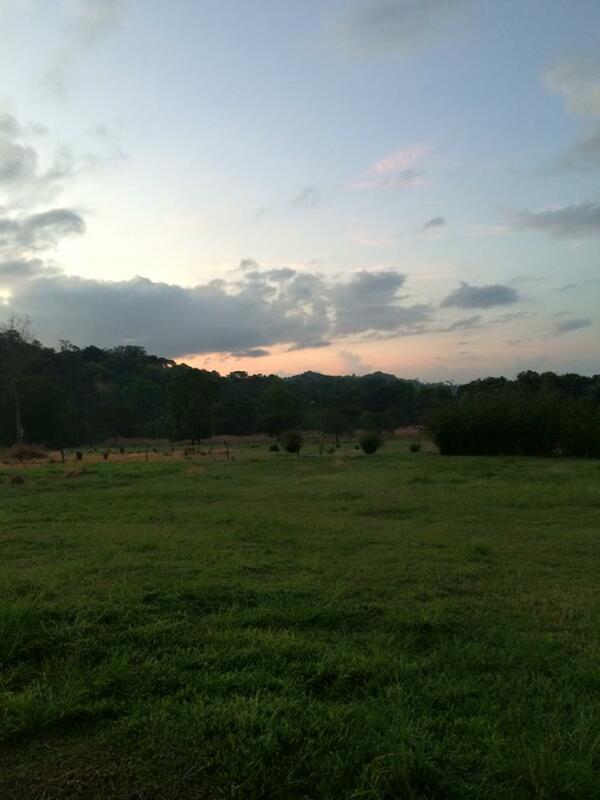 Standing in the field in Las Villas de San Buenas de Osa, time has a way of slowing down. You’re out in the country, the sticks, the boonies, but you’re inside this incredible prism of light under a staggering star and a lifelike moon, and you genuinely feel like you’re living under the sky of another galaxy, standing on the field of another universe. I stood outside and watched the day arrive, the prism of colors evaporating into a single sky-blue and I’m so grateful that I had the experience of what life on another planet would be like. Dear Reader, this experience belongs to you. Imagine a sunrise so beautiful, it makes you believe you’re on another planet. You deserve that experience. Let’s make it happen. 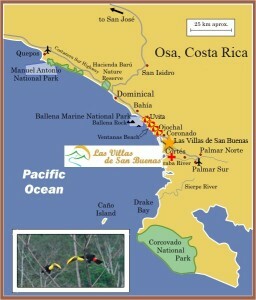 All you’ve got to do is come to Costa Rica, stay at Villas de San Buenas de Osa and wake up early or stay up all night. Let’s make it happen. My name is Ezekiel Tyrus. I am the gatekeeper to paradise. Contact me.